How Far is Krishna Sunville? 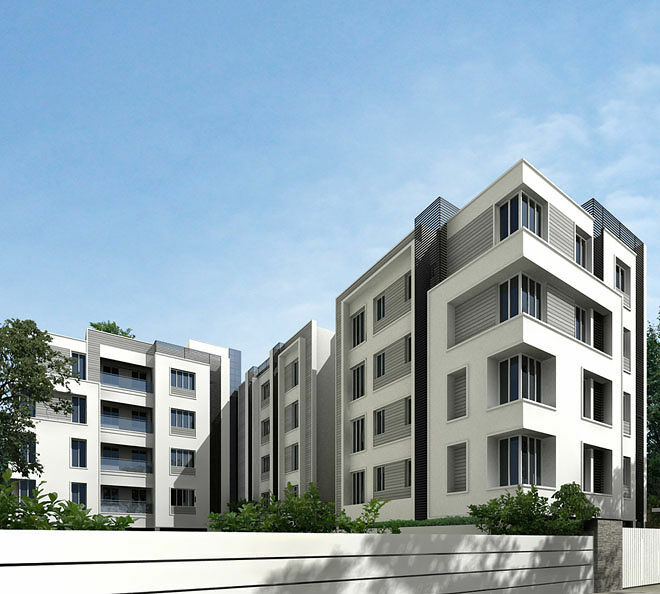 Krishna Constructions is coming up with elegant residential apartments at Kilpauk titled Krishna Sunville. Each apartment is carefully designed for the best look, beautiful interiors, sufficient ventilation and offered with world class amenities. Offered in a range of 3 BHK these are built with top branded floorings and fittings. • External walls of burnt clay bricks / hollow concrete blocks / concrete blocks with cement mortar. • Partition walls in cement mortar with hoop iron placed. 2' X 2' Vitrified tile flooring for the entire apartments. • Interiors: Oil Bound Distemper Paint with one coat Altek putty. • Exteriors: Weather proof Paints or equivalent solution. • Teak wood frame for Main Door and other doors. • Designer door for Main Door with polish finish on both sides. • Flush door for all bedrooms and bathrooms with paint finish on both sides. • Balcony: Wooden French Door with plain glass. • Teak wood for all window frames and shutters with glass / UPVC windows. • Platform with Black Granite Top and Stainless Steel Sink without Drain board. • Dado of 2' above kitchen platform in ceramic glazed tiles. • Provision for Aqua guard. • Provision for Washing Machine in Service Area. • Glazed tiles self designer wall tiles upto 7' height. • Anti - skid ceramic flooring. • Floor mounted White Cascade E W C Dual Flush (Parryware) in all toilets. • White wash basin (Parryware). • Single lever hot and cold wall mixer (Parryware or equivalent make). • Provision for Geyser, Exhaust Fan. • Three Phase supply with independent meters. • All internal conduits with PVC. • Modular switches will be provided. 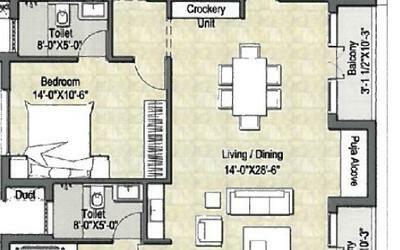 • Television / Telephone points in Living & Master bed room. • 2 KW (8Amps) with captive power supply for each apartment.